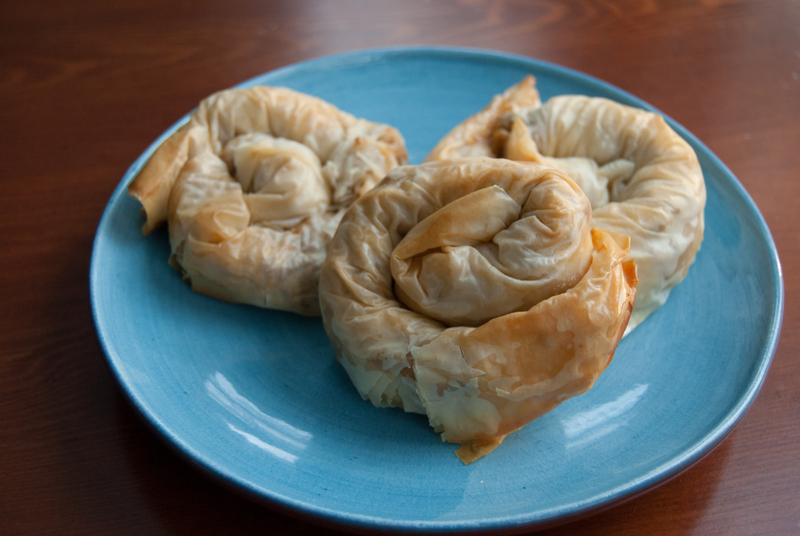 Where you can eat the delicious “burek” ? You can not imagine how I love this country. Having said bye Croatia, I decided to discover a new adventure, new culture, and new country. Yes… Exactly! This country was Bosnia and Herzegovina. Before my adventure, I would like to give small information about Bosnia and Herzegovina and of course about Sarajevo, because I have been only in the Capital of this country. The expansion of the Ottoman Empire into the Balkans introduced another cultural, political, and religious framework. The Turks defeated the Serbs at the famous battle of Kosovo in 1389. They conquered Bosnia in 1463. During the roughly 450 years Bosnia and Herzegovina were under the Ottoman rule, many Christian Slavs became Muslim. A Bosnian Islamic elite gradually developed and ruled the country on behalf of the Turkish overlords. As the borders of the Ottoman Empire began to shrink in the 19th century, Muslims from elsewhere in the Balkans migrated to Bosnia. Bosnia also developed a sizable Jewish population, with many Jews settling in Sarajevo after their expulsion from Spain in 1492. However, through the 19th century, the term Bosnian commonly included residents of all faiths. A relatively secular society, intermarriage among religious groups was not uncommon. In December 1991, Bosnia and Herzegovina declared independence from Yugoslavia and asked for recognition by the European Union (EU). In a March 1992 referendum, Bosnian voters chose independence, and President Alija Izetbegovic declared the nation an independent state. Unlike the other former Yugoslav states, which were generally composed of a dominant ethnic group, Bosnia was an ethnic tangle of Muslims (44%), Serbs (Orthodox) (31%), and Croats (Catholic) (17%), and this mix contributed to the duration and savagery of its fight for independence. One of the coincidence could be that because I arrived Sarajevo at 6 a.m. and I left tomorrow morning at 6 a.m. Anyway, let’s talk a little bit about my travel. When I arrived there I met with a German girl and one Italian guy who they also travel to this amazing city. Normally where I travel to Europe I can use my internet, before Sarajevo I worked my internet in Budapest and Zagreb. However, I couldn’t use my German number internet in Sarajevo. Therefore before going to anywhere download maps.me and you can find easily your address. So Italian guy had some notes about his hostel he left us. And we decided to find exchange however we couldn’t find any open bank. And then we decided to have breakfast with Caroline. She is a journalist and we had a really great conversation with her. During breakfast, we also gave a small gift to each other I gave to her 1 AZN (Azerbaijani Manat: currency) and she gave me Lebanon currency and her previous trip was there. It was a really interesting conversation with her. I find my hostel and I really love it. It was kind of Airbnb, however, I booked from booking.com. When I arrive there I thought I will stay in dormitory room but I stayed alone and it was really cool feeling that you have paid 10 euro but you are staying alone:). After resting I decided to discover this lovely town. Everything was super cheap and I spent only 20 euro for 24 hours. 1 euro was almost 2 Bosnian Mark. Baščaršija is Sarajevo’s old bazaar and the historical and cultural center of the city. Baščaršija was built in the 15th century when Isa-Beg Isaković founded the town. The word Baščaršija derives from the Turkish language. The word “baš” which is “baş” in Turkish literally means “head”, in some contexts however also “primary”, “main”, “capital” and “čaršija” which is “çarşı” in Turkish means “bazaar” or “market”. The town was old, almost every place as of its history. Turkish culture lives in Sarajevo. Turkish coffee, kebab, burek etc. But to be honest, I’ve never tasted a delicious burek before. If you travel to Sarajevo, you should definitely taste it. This country’s history is really interesting. When I was there the people talked about Serbians that, they had a war with them. And people suggested me, I can also visit the cemetery from that war. But of course, it was a ”civil war”, therefore from both side a lot of people dead. It was not genocide! Therefore both side lost a lot of people, however, now both side are in really good relationships. This country is also famous for handcraft. I took a video and I will share with you. See you on my next trip history about Serbia.